Florida lawmakers approved a series of new laws last year cracking down on telemarketers. 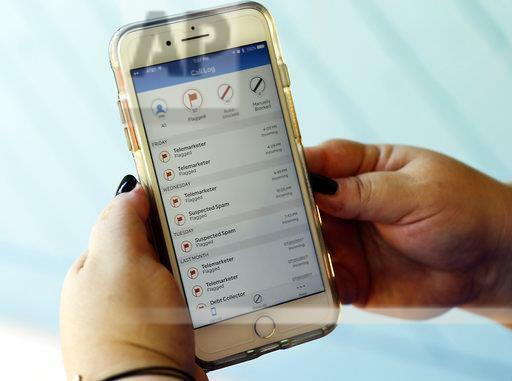 Those laws went into effect last summer, and addressed everything from unwanted voicemails to allowing phone companies to pre-emptively block robocalls. And yet, the bad calls are still happening. AT&T CEO Randall Stephenson was recently onstage, speaking to the Economic Club of Washington D.C., when his smartwatch began buzzing. "It’s literally a robocall," he announced as the audience laughed. So, if the head of a major communications company can't get rid of robocalls, no one, it appears, is safe. Today, Scott and Young are out of their respective offices, but telemarketing and scam calls seem to be as prevalent as ever. "We average around 20,000 complaints in the office each year and those complaints specifically those 20,000, are dedicated to those we consider to be unsolicited communications," says Alan Parkinson, the Chief of Mediation Enforcement for the Florida Department of Agriculture and Consumer Services. Parkinson oversees the state’s complaint clearing house. Those 20,000 complaints deal directly with scammers, telemarketers and Do Not Call List violations. Even though consumers sign up for the list, scammers and telemarketers continue to find ways to get around the rules, mostly through a practice known as spoofing. “It’s a way to hide and make it really hard, if not impossible to track them down." The number may look familiar, it could even be a local area code, but when you answer, it's an automated call, or a sales pitch for things like Medical Devices, or other types of services. Sometimes, its a good, old-fashioned scam, like peope posing as IRS agents demanding money. Parkinson says help is on the way. “The FCC has sent letters to all the service providers demanding they get in to start addressing the problem,” he says. One of Florida's new laws ties into the FCC’s demand that service providers pre-block the calls. But the results are lackluster, so far. In written response letters to the FCC, companies like Sprint and AT&T say they support the effort, but it’s going to take them a while to implement the technology. Meanwhile, other types of calls such as political messages, are perfectly okay. Those type of texts and robocalls are legal and information is given out if requested. Earley says there are ways to curb those messages: voters can ask to have their phone numbers and emails removed from their profiles, but there’s a trade-off. Election officials need that information too, especially when it comes to reaching voters who may have problems with their ballots. He's hoping for changes in an elections bill that’s moving through the legislature. Two other proposals would let consumers on the Do Not Call List who receive two or more phone calls within a year sue the company or person responsible. Courts could award damages and fines up to $1,500 per violation. The measure was set for a hearing earlier this week but was postponed. The Florida Legislature is out to protect its citizens’ phone lines from unwanted calls, texts and voicemails. Gov. Rick Scott has signed two bills that crack down on robocall solicitation. Both go into effect July 1. A trio of bills are heading to Governor Rick Scott’s office this week - the final step before becoming law.